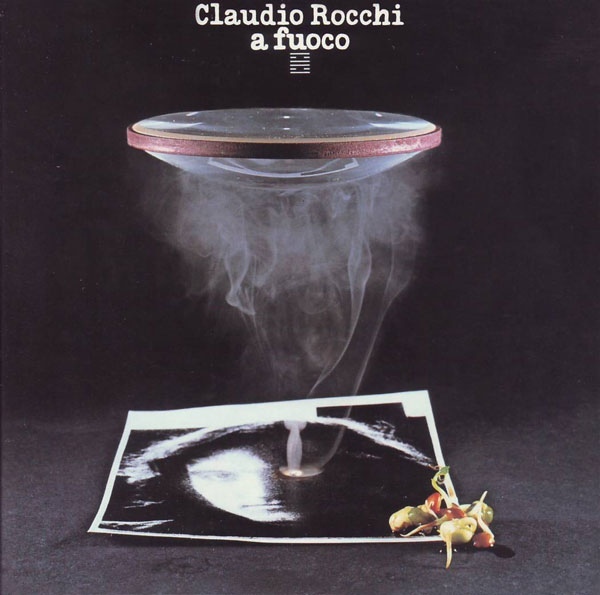 Although Rocchi is probably better known for his earlier material on other labels, his offering on Cramps from 1977 A Fuoco (originally Cramps CRSCD 023) is a good showcase for his own talents (vocals, synthesizers, songwriting, and production) as well as his knack for surrounding himself with top notch musicians. Ostensibly a pop-singer, his skillful mastery of dynamics and clever arrangements put him on a par with the pre-glam/pre-disco work of David Bowie (circa Hunky Dory) or perhaps even later post-folk Donovan. Indeed, many of the tunes are driven by simple acoustic guitar or piano, and then built upon with full arrangements of synths, bass, drums, saxes, violins, and more. The seven songs are loaded with lyrics, which I’m not prepared to comment on, other than to say that the vocals and lyrics do seem to be the main thrust of the music. Nothing particularly progressive here, but it’s fine music nonetheless.